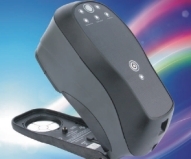 The Lovibond® RT 250 Spectrophotometer is not a stand-alone unit as it does not incorporate a display screen. The RT Elite Package contains everything needed to start using the instrument immediately, combining the RT 250 with the popular OnColorTM Lite Software. If enhanced functionality is required, the software may always be upgraded to the OnColorTM Premium Software edition.